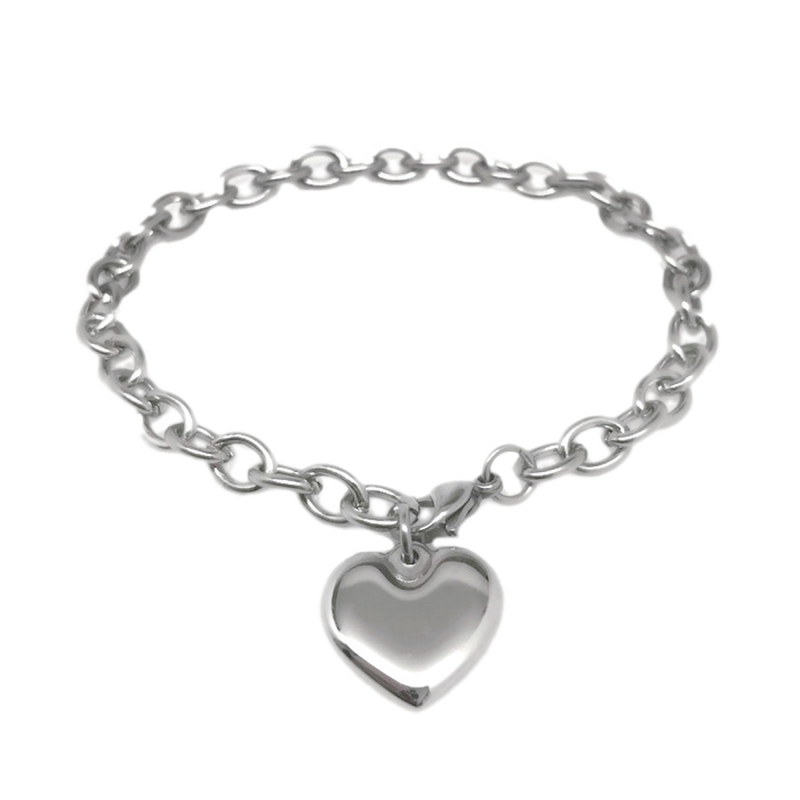 This polished mirror finish stainless steel heart bracelet is a classic that will never go out of style. 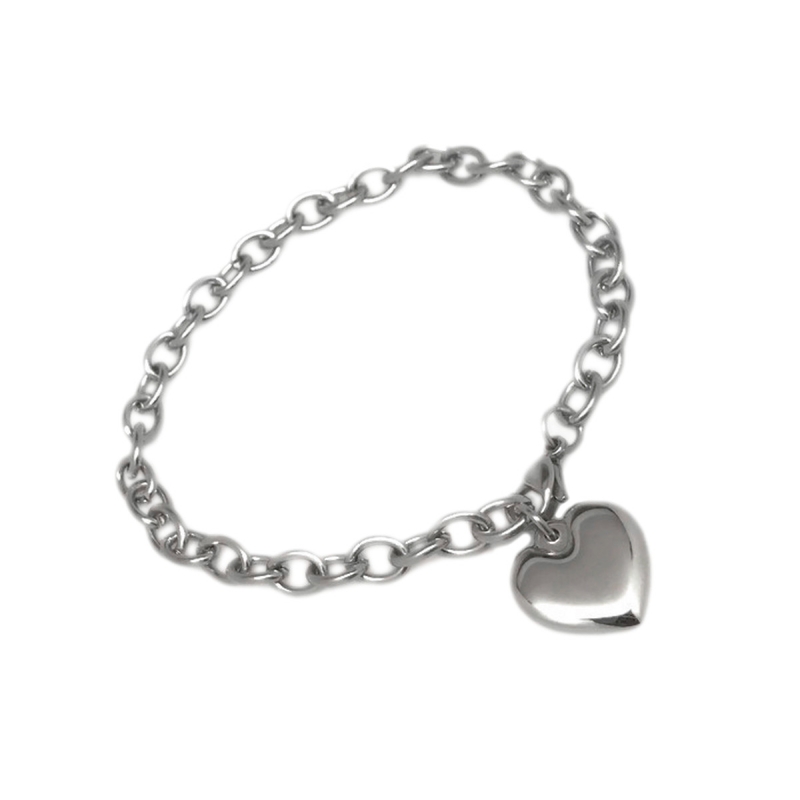 Since it is stainless steel, it is hypoallergenic (won't turn your wrists green), will never tarnish and is extremely durable. 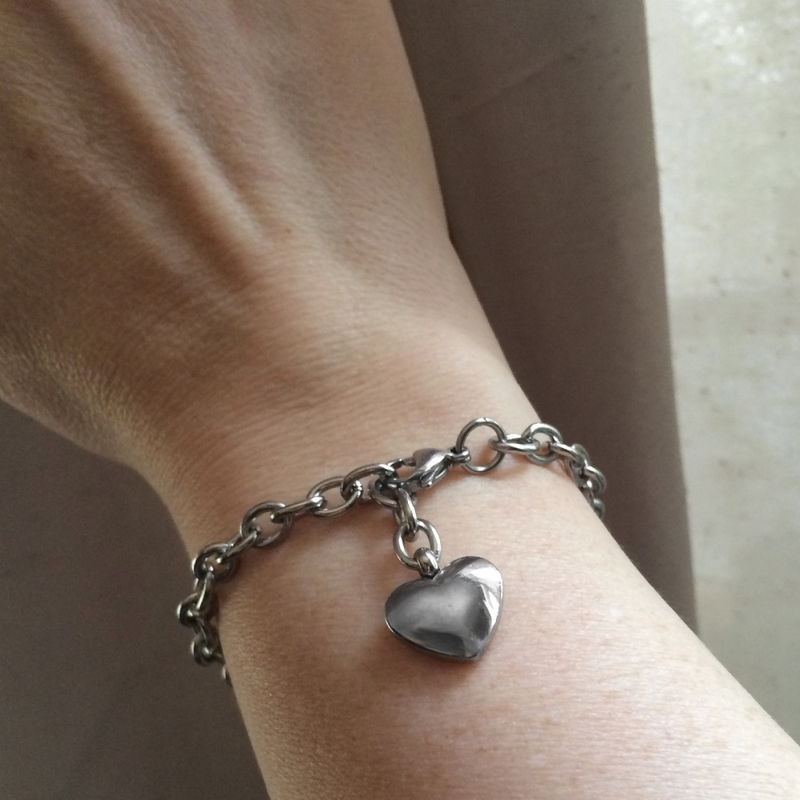 To clasp the bracelet at the end, measure your wrist, and add 1 inch. 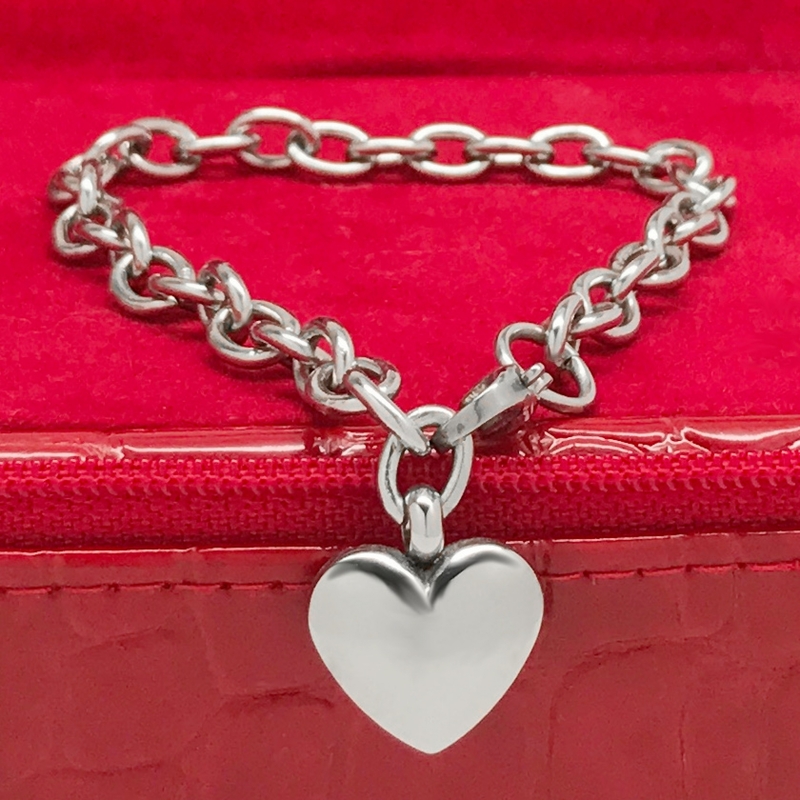 The bracelet is fully adjustable into any link in the cable chain but recommend ordering a size close to your wrist so the heart charm isn't hanging to far off the bracelet. Or course, it all depends on the look you prefer. 5/8 inches in diameter. It is solid and the top is domed so engraving may not be possible.